What are the missing letters: R _ _ G _ I _ ? O, Y, B, V. Each letter represents the first letters of the seven colours of the rainbow. I.e ROYGBIV; Red, Orange, Yellow, . . . , Violet. 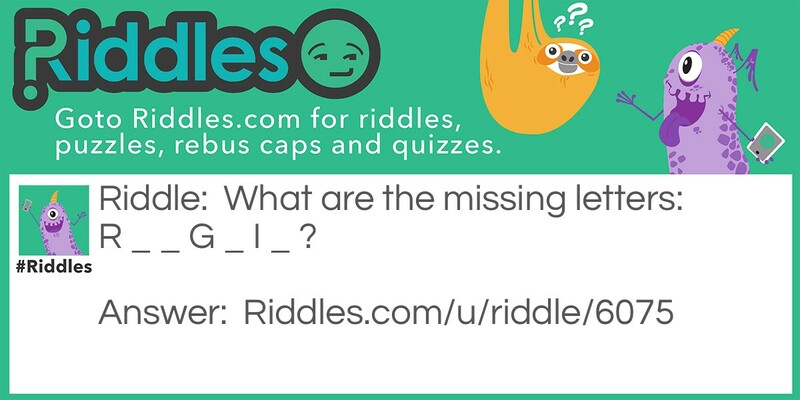 The Missing Letters 2 Riddle Meme with riddle and answer page link.